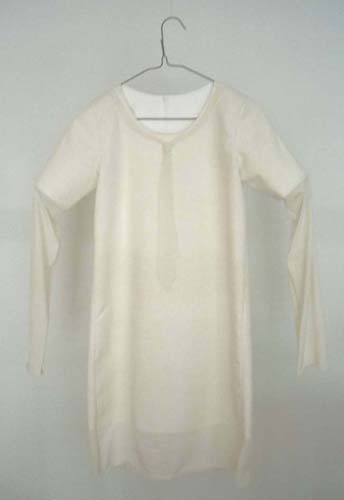 The idea of dedicating an issue of Fashion Projects to the topic of fashion and memory started while reading Peter Stallybrass’s “Worn Worlds: Clothes, Mourning, and the Life of Things,” an engaging and lyrical essay on the author’s remembrance of his late colleague Allon White through the garments White wore. Stallybrass’s piece elucidates people’s intimate relations with clothes—i.e. their materiality, their smell and creases—and the inextricable relations between clothes and memory. It traces the way in which clothes retain "the history of our bodies." Wearing White’s jacket at a conference, the author describes the way clothes are able to trigger strong and vivid memories: "He was there in the wrinkles of the elbows, wrinkles that in the technical jargon of sewing are called 'memory'; he was there in the stains at the very bottom of the jacket; he was there in the smell of the armpits." My interest in the topic was then piqued while sitting in on a class on fashion curation taught by Alistair O’ Neil at the London College of Fashion, where a number of students curated a fashion exhibition comprised of used gowns and top hats, their main value resting not in their design or historical relevance to fashion in history, but in their being second (or maybe third or fourth) hand, thus retaining intricate yet irretrievable history in their signs or wear, their stains, their scents. This lyrical exhibition, titled "A Walk in the Wardrobe" and staged in an old and seemingly abandoned space, was a reminder of the importance of reconnecting with the materiality of cloth and clothes. This issue’s focus on clothes and memory dovetails with attempts to promote sustainability within the fashion industry. It invokes a counter-tendency in contemporary fashion which reinstates the importance of materiality and emotional connections to our garments in the hope to slow down the accelerated cycles of consumption and discard promoted by current fashion models. As Stallybrass points out, moments of emotional connections with clothes and cloth become, in fact, rare in the accelerated rhythm of contemporary societies: "I think this is because, for all our talk of the 'materialism' of modern life, attention to material is precisely what is absent. Surrounded by an extraordinary abundance of materials, their value is to be endlessly devalued and replaced." The various contributors to Fashion Projects explore this theme in disparate ways. Sarah Scaturro, textile conservator of the Cooper-Hewitt, National Design Museum, revisits, together with photographer Keith Price, the museum’s textile collection and her intimate relation with it. She also discusses curatorial practices with Judith Clark, whose exhibition “Malign Muses: When Fashion Turns Back”—based on Caroline Evans’s theories—is an exploration of the complex temporalities of fashion. Tamsen Schwartzman interviews Tanya Marcuse on her photographic work in fashion archives, while fashion designer Shelly Fox discusses her own design and textiles practice. Erica Weiner recounts her use of other people’s memories via old photographs and human hair for the making of her jewelry, while fledgling designer Eugenia Yu tells Erin Lindstrom of her collections based on her family memories. Finally, Lisa Santandrea revisits North America’s industrial past and obsolete technologies, as they remain embodied in knits produced by the now-defunct Ohio Knitting Mills. Ruben Toledo Drawing for the Simonetta Exhibition at Palazzo Pitti. I first encountered Judith Clark’s work through a 2004/5 exhibition at the ModeMuseum in Antwerp called “Malign Muses: When Fashion Turns Back” (later titled “Spectres: When Fashion Turns Back,” when it traveled to the Victoria &Albert Museum). The exhibition was essentially a series of probing conversations about the relationship of fashion with history that took place between Clark and fashion theorist Caroline Evans. Clark has been experimenting with curating and displaying costume since she opened the Judith Clark Costume Gallery in 1997. She is now a joint London College of Fashion/Victoria and Albert Research Fellow. Fashion Projects : One particularly powerful vignette in the “Malign Muses” exhibition was titled “Locking In and Out,” which manifested in horizontally rotating cogs on which the dressed mannequins were secured. As the cogs literally locked in and out of each other echoing the cyclical nature of fashion, the garments were forced in and out of proximity with others – a fleeting closeness that automatically imposed new relationships between the clothing. Were you surprised at some of the relationships and insights that were realized through this seemingly randommechanism? Judith Clark: There is of course always a difference between the design and the effect when it is built in the exhibition space. There are also, importantly, the references and associations that the visitor brings to any installation and as you suggest cogs have many powerful connotations. I felt that in a way the “Locking In and Out” section could lend itself to many interpretations– cogs in a fashion machine, or the powerful association between objects through simple proximity, the alienation when this is ‘unlocked’, the endlessness of the fashion cycle, and the odd number three. There could have been any number of cogs and indeed a fanciful first design draft had hundreds of cogs intersecting, which would have further illustrated that all dresses are in some way related to all other dresses, but happen to come into contact only if a trend manipulates the relationship. Spectres: When Fashion Turns Back. Installation Shot, Victoria and Albert Museum. FP: In an essay for the book MoMu Backstage, you write, “Historical reference in dress has never been about evolution, continuity. There are other ways of plotting this. In dress, surfaces float free of their histories.” This statement seems to dispute the chronological display methodology that is often apparent in museum exhibitions. Do you think the most effective interpretations of dress dispense with chronology and literalism? What should we be looking for when seeking patterns and relationships in fashion? JC: I’m not sure that I would dispense with chronological display as it does represent one important story and it does represent evolution from a designer’s point of view. I think the problem with it is that it presents inspiration as linear. What interest me are the other patterns at play. This is why I was so fascinated by Caroline Evans’s book Fashion at the Edge. It was because she was describing inspiration and historical reference in different spatial terms: labyrinthine, as leaps into the past (“tigersprung”) etc. I thought these might be clues to curating a different kind of story. I now get my students to read a piece of theory in three-dimensions, which means reading fashion theory looking out for spatial metaphors, and sketch what shapes come into their heads— these are rarely straight lines. FP: Exhibitions inherently rely on effective collaborations like the one between you and Caroline Evans. Is it the essentially collaborative nature of the exhibition process that draws you? Who would you most want to collaborate with, and why? JC: I have had wonderful experiences collaborating on exhibitions and continue to repeat collaborations and conversations with the same people. Some of those conversations date back to the opening of the gallery ten years ago. Usually I am the one who “picks up the phone,” so to speak, and invites people to work on projects, once I have an idea of how the material might be themed, and what the scope is. I have been lucky that I have worked on projects with some research funding attached—so, for example, I could afford to invite the architect Yuri Avvakumov from Moscow to come to London and discuss “Malign Muses” with me. That is a rare luxury. 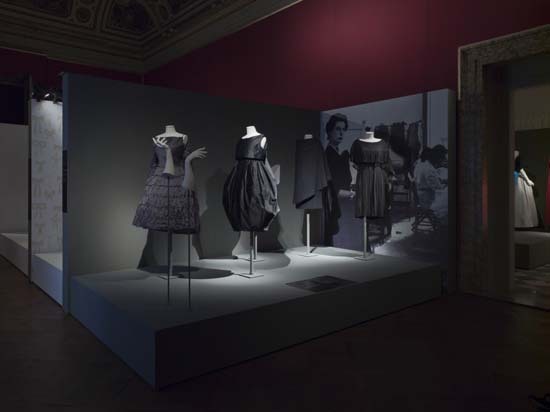 Anna Piaggi, "Fashion-ology" Exhibition at the Victoria and Albert Museum. Installation Shot. FP: Your 2006 exhibition on Anna Piaggi at the V&A titled “Fashion-ology” celebrated the process of fashion more so than the actual realization of clothing. On a parallel line, do you find the process of developing exhibitions or the final outcome to be more inspirational? When you conceptualize an exhibition, are you first intrigued by certain objects, or with a specific question and theme? JC: I am definitely more interested in process, though I care about the final outcome a lot. It is the bit most people like reading about which is why I am keen to document process in the accompanying exhibition catalogues. In terms of how I work, I think all of the things you mention appear more or less simultaneously: objects, theme and narrative questions. Then you start testing the different assumptions: questions such as, How many objects exist to illustrate a theme, or is it just the one piece you fell in love with? And then there is the important issue of the enfolding space. I have recently both curated and designed exhibitions so the installation evolves as the objects appear. I do a lot of sketching. I am more of an exhibition designer than a dress historian. FP: I love your statement, “Anthropomorphic imagination makes clothes magical.” What is it about clothing that can make us instinctually feel an imagined closeness, or parallel existence, as if we somehow understand its previous life? JC: We dream and imagine stories that are inhabited by clothed people. The stories are powerful because of their associations, not factual accuracy. I think one of the most compelling things for me about Anna Piaggi is her firm belief in this, a fact that has underwritten her collages. She is insistently not a historian, even though her familiarity with the history of dress is vast, but she knows clothes according to her dream-work, her tales. That is why she wears precious vintage dresses. She appropriates the spirit of their previous owners. FP: It seems that many museums will not show, or even collect, garments that are stained, damaged or heavily distressed (at least not without much restoration). Do you think the effects of age can be a desirable or value-added quality within an exhibition setting? Have you ever experimented in ways to reveal a garment’s personal history? JC: Not really, but I think it is a very interesting issue. Amy de la Haye is the person who, I think, speaks most interestingly about this subject. In curating the Street Style exhibition at the V&A, she brought these issues into the museum, as in what to do with biker boots? There are clearly many issues where curatorial interest and conservation integrity are and will be at odds. FP: As the human form has changed over fashion history, it can be a challenge to find the right kind of mannequin (i.e. body type) in order to accurately display a garment. With this in mind, in past exhibitions you have developed specific mannequins in order to realize your vision. Have you ever been tempted to dispense with the human body entirely? Is it even possible to divorce clothing from the body? 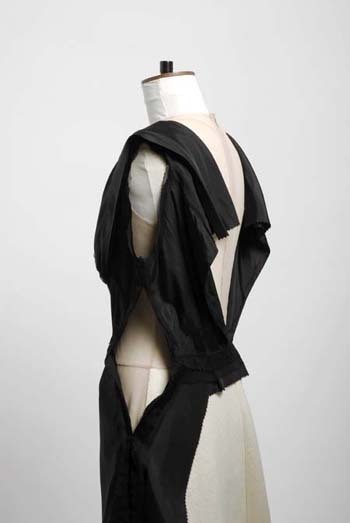 JC: I love the fact that the garment is linked so inescapably to the body. I think when the mannequin is invisible, it is the most noteworthy thing about the exhibition—everyone is looking for the body. The clothes will always represent its essential scale and proportions, if they are wearable, which is what I work with mostly. I am also interested in working with conservation constraints and so I have been working with archive mannequins and superimposed ‘prosthetics’ onto these that in some way represent or extend the theme of whatever is being exhibited. 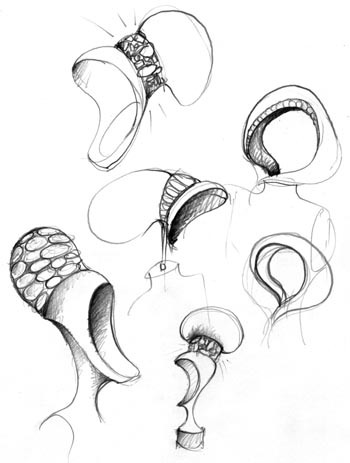 I have commissioned the avant-garde jeweler Naomi Filmer to work on these. A recent example was to punctuate the exhibition dedicated to the designer Simonetta with particular poses and gestures. It seemed essential to have her in the exhibition and she had a particular pose—raised chin, cigarette. It starts at the research phase—I am looking at all these photocopies of Simonetta, thinking, There is her pose again, and then think, How does this get to be in the exhibition? Simonetta Exhibition at Palazzo Pitti. JC: No, I don’t think anything is excusable for dynamic display. I think part of the interest in this subject for me are precisely the limitations as I said about the mannequins. The clothes are often valuable objects, and certainly fragile and I hope that I manage to work around the brief. The cogs in Malign Muses were set at a conservation-appropriate speed. The mannequin prosthetics didn’t touch the garments. I think people perhaps underestimate my concern about the objects. FP: Focusing on experimental exhibition techniques, the Judith Clark Costume Gallery succeeded in pushing the field of fashion curation forward through, as you have said, “creating a new grammar, new patterns of time and reference.” Now that the gallery no longer exists, are there any other museums or galleries adopting experimental or innovative approaches to the exhibition of dress? Where do you see the field of fashion curation heading within the next 10 to 20 years? JC: I’m not sure. I think that the conversations are much more fluid about this subject. We are debating it now. I am working freelance a lot and so importing my attitude to fashion curation to a number of places. I worked at Palazzo Pitti last year and this year I am doing a project for the Boijmans van Beuningen museum. My gallery has downsized to a workshop (to build miniature exhibitions) and hopefully a website for hypothetical exhibitions. I have two small children and so what I think I am doing tomorrow quickly becomes next month. I think the ”where is it going” question is interesting in relation to what you asked earlier about conservation. These restrictions will not alter and I think it a case of carefully going back to basics and thinking: What can we do with a dress, a plinth, a mannequin and a spot light? Small changes are interesting in my opinion. I think there is also a “virtual” exhibition debate, which appears a lot in our students’work and a restlessness about exhibitions that don’t move. There isn’t enough drama it would seem. I think if it is virtual then it can be wholeheartedly so – i.e. the installation may as well be “hypothetically” on Mars. FP: Drawing from your statement “Fashion and academia have been uneasy bedfellows,” do you think fashion exhibitions must be grounded in scholarly research in order to be effective? Is there any value in exhibitions that emphasize an entertainment factor? JC: I think as long as curators don’t lose their nerve about their original idea for an exhibition it is usually OK. The problem is when the sponsor takes over the power. That is revolting. But to make an exhibition popular—why not? I think exhibitions that are based on scholarly research often are just more coherent – the curator has more material to fall back on. FP: You state in Backstage that you are interested in “the relationship between curating and digression, in the connections made by the visitors who stray.” Pursuing a similar question, curators Harold Koda and Andrew Bolton of the Costume Institute introduced their exhibition “blog.mode: addressing fashion” by writing that in “opening a dialogue with visitors to the exhibition and to the blog, the curators hope to expand their own views and further the practice of fashion interpretation and connoisseurship.” The main premise of their exhibition seeks to garner feedback from their public through the vehicle of blog commenting. Do you think this is an effective platform to study this idea of digression? Are there any other ways that you can think of? JC: I think it is an interesting approach – I had an exhibition at the gallery called “Captions” where I exhibited one dress and nailed captions to the wall and printed a sheet where visitors could come and write their alternative captions. Some were great, some were really dreadful and pointless. My favorite was written by Caroline Evans’s daughter Caitlin. She wrote a story about the princess who wore the gown and I often think about it. I think the same has happened with the Met blog—it is very hit and miss. It is a fabulous project to do at the Met given their position, because they have a chance to have responses on such a huge scale. I think people are not very articulate about their experiences of exhibitions and so it is difficult to get the account that we might like back from the visitors. I think it would be interesting to have an exhibition where the curator could totally digress—literally one story become another during the exhibition. But it would be considered so indulgent, I don’t have the courage to do it. Judith Clark can be found at http://www.judithclarkcostume.com. The work of New York-based British designer Shelly Fox came to prominence shortly after her graduation from the famed Central Saint Martins MA in 1996. Her beautifully- crafted “scorched felt” pieces, which made up her graduation collection, were promptly acquired by Liberty, the London department store known for championing independent designers. Initially known for her textile experimentation and innovative pattern-cutting techniques, Fox eventually began to expand her practice into installation and film, at first in conjunction with her fashion presentations and later—as she became a research fellow at Central Saint Martins and ceased to produce seasonal collections—as stand-alone research projects. What characterizes the various permutations of her work is an attention to the materiality of the fabric and garments she creates. This often leads her to explore the connections between clothes, memory and history—an exploration which is backed by extensive research in archives and collections. Perhaps counterintuitively, she combines this interest in the physicality of the clothes with an engagement with a variety of media. Partially thanks to her numerous collaborations, she has expanded her practice into film, sound installations, photography and, through a project she produced together with SHOWstudio in 2002, digital media. This multimedia aspect of her work is matched by a multi-sensorial one, as the sound and smell of the clothes and the fabric often play an important role in her work. Fox has recently been appointed Donna Karan Professor of Fashion and chair of the soon-to-be-launched MFA program in Fashion Design and Society at Parsons. This has prompted her move to New York, where she plans to convey this expansive idea of what it means to be a fashion designer to her students. I met with Fox in the West Village coffee shop to discuss her past and present work. FP: Were you trained in fashion or textile design and did you train at Central Saint Martins? SF: My training originated in fashion from the very beginning, even back to the point that I learned to sew by making my own clothes. I learned through old dressmaking patterns, and it helped me understand construction and the order in which a garment goes together. So I was trained in fashion, making and cutting and I jumped around a bit in the way I went through my education. I did a 2 year foundation course in addition to a 1 year technical pattern cutting course in Croydon. Then I went to Middlesex to do a BA in fashion but left half way through the 1st year. Finally, I went to Central Saint Martins, where I pursued a textiles design degree. I specialized in knitwear, and from there I had a year out, where I went to worked for a designer, Joe Casely-Hayford and then I went back to do the MA program at Saint Martins, which was womenswear/knitwear I graduated from the MA in 1996. FP: Was it already a well-known program? As soon as I left Central Saint Martins, Liberty (in London) wanted to buy my collection. I had already been offered a job in Italy in Rimini to work in knitwear, but I was in my late 20s by that point and didn’t want to live in a seaside town in the middle of nowhere, so I decided to go with Liberty and do my own thing in the way I knew how with very little experience. From there I started my own label, but I didn’t start presenting to the public in terms of a catwalk show or installation until my fourth and fifth collection, which was in ’98/’99. FP: Did your career in teaching start later? SF: Since I was getting press, people were inviting me to do guest lectures. In 2000, I was invited by Central Saint Martins to be a Research Fellow without really knowing what that meant and what that was, because practice-based research wasn’t really discussed to the extent it is now. Both Central Saint Martins and the London College of Fashion have been building their research so much in the last years, especially in fashion and textiles. There are a lot of critical thinkers and historians but practice based research has only been recently acknowledged in a serious way. FP: A couple of years ago, I was teaching at Goldsmiths in what was then the textiles BA, and the students were the first ones to explain to me in detail the techniques that you used in your work. Your work seems to have a patina. It seems to be artificially aged insofar that you “torch sequins” and “scorch felt.” How did you come to these techniques? SF: I used to teach textile students at Goldsmiths. The scorching of the felt came about in my first collection, which was the MA graduation collection in 1996. I was working with a lot of John Smedley yarn and it was knitted on an industrial circle knitting machine and felted through a domestic washing machine. And then I would have it pressed and what happened one day is that it got stuck in the machine and started to scorch. I realized there was a way of controlling the heat, so that’s how I developed that collection. It was almost by an accident. But when that happened, it changed the entire collection in terms of pattern cutting-ideas as well as the physical fabric, because I could engineer and highlight where darting and construction lines were by partially locking out a specific section from the heat so that an exact shape would be left, almost like an X-ray. I could create patterns on the fabric by scorching it in and burning it in and there was a way of controlling that. FP: Was there something in particular that attracted you to the process? SF: There was a particularly smell to the collection, which was really interesting. I used to get told off by the technicians because of the smell it used to create in the print studio, but I had to keep doing it to get the whole collection done. It wasn’t really burning, it was more of a fine scorch—It looked beautiful and there was something to do with the smell of the project that I really enjoyed. FP: And were “the torched sequins” developed in the same collection or was it the later? Was it important to you that both gave an idea of the passage of time? FP: Did you use the carte de vista in tandem with the scarf for the “Fashion and Modernity” project? FP: And you did so to local merchants? SF: Yes, the project had to be in and around the area of Charing Cross Road in London [where Central Saint Martins is located]. At the same time as part of the same project, Alistair O’Neil was curating a photography exhibition on Charing Cross Road and Caroline Evans was doing her work about it. I worked with Time Out for the project. We handpicked 23 independent stores in and around Charing Cross Road. It had to do with the fact that Soho (in London) is trying to hang on—maybe not successfully—to the idea of being a village within the city, so it was about preserving your favorite stores: your favorite café, your favorite grocer or fish and chips shops, whatever they might be. I picked those particular stores because of their independent feel and because they had their own identity. They were not like any high street stores in England, which tend to be very similar. FP So they also got to pick their favorite costumers? FP: Did you actually get some of the questionnaire back? FP: So it became this participatory project in a way! Going back in time a bit, you also did a collection and a presentation at the ICA in 2002, which was based on family portraits, but, in that case, your own family portrait? SF: That collection (collection no. 14) started with me going into a shop, in Spitalfields, where I found folded napkins which were exquisite. They were second hand and what attracted me to them was the way they were starched and folded, in a very pristine way, suggesting a very upstairs/downstairs old country house linen cupboard. And there were also pillow cases and table cloths. I bought them all and they sat on my desk for six weeks before I really knew what I was going to do with them. Later, I found out that the napkins were from the Concorde, so they were the exquisite napkins you would have got when you flew on the Concorde. I developed the actual collection based on the napkins and the pillowcases. I used the actual napkins to develop a series of dresses. The way they folded and twisted from the neck informed how the entire collection was developed. Originally the collection was to be shown in Paris and it never happened because my backer pulled the support 4 days before the show. We were already working with SHOWstudio, with the idea of live footage from the catwalk, so we opted for a film instead. The starting point for the film were the photographs of Mike Disfarmer—an American photographer who recorded towns around Arkansas in the early ’40s. Many of them were images of families, of brothers and sisters. Everyone in the picture is interconnected and there is always someone who seems like they didn’t want to be in the shot, or in that very family. So we framed the shoot around the idea of Disfarmer’s family photographs and in the beginning of the film we included my family photographs, my partner Ross’ family photographs and those of Scanner —who did the sound—and D-Fuse, who did the projections for the show. We all included our family’s photographs and built the beginning of the film around that. FP: Your work also seems to be about materiality as opposed to just images. A lot of fashion companies are very image driven and there is less attention paid to the physicality of the clothes. So I guess your approach is counter to the majority of what fashion is now…What is interesting to me in the way you use memory and the past is how it counteracts this notion that fashion is always forward driven. To some extent, I relate your approach to the new interest in slow fashion and sustainability. Your work is, of course, limited production and there are countless stories and narratives surrounding these very carefully crafted garments. I was thinking about this in relation to your work overall and your installation at Belsay in particular, where you staffed the walls of a room with bales and bales of fabric. Those made me think of over-production, they reminded me of mounts of discarded fabric…? SF: The Fashion at Belsay project was also very much about memory. I think what was interesting about that is that a number of British fashion designers were given a brief from the English heritage to work around the history of the house: a 18th century Mansion in Northumbria. I worked with the telephone room and study, which were next door to each other and tried to evoke the memories of people who had been living in the house—and particularly those working in it—by padding the walls with “fresh white laundry.” This came about by a donation of laundry, bedding, uniforms, and quilting from a recycling company. As I planned the project and researched where to get the clothes and fabric from, I was introduced to somebody at Saint Martins, whose father owned a factory in the East End of London. They recycled textiles and clothing—from hotels, restaurants, public service uniforms—for reused businesses around the world. They export a huge container a week out of the factory to Africa, Poland, and other places, where they have business set up on the back of all the clothing that we don’t want. And that’s just one reused business servicing just one small section of England. When I was building the installation, I asked them to send me anything white, and when the installation was finished it all went back, so there was no waste! 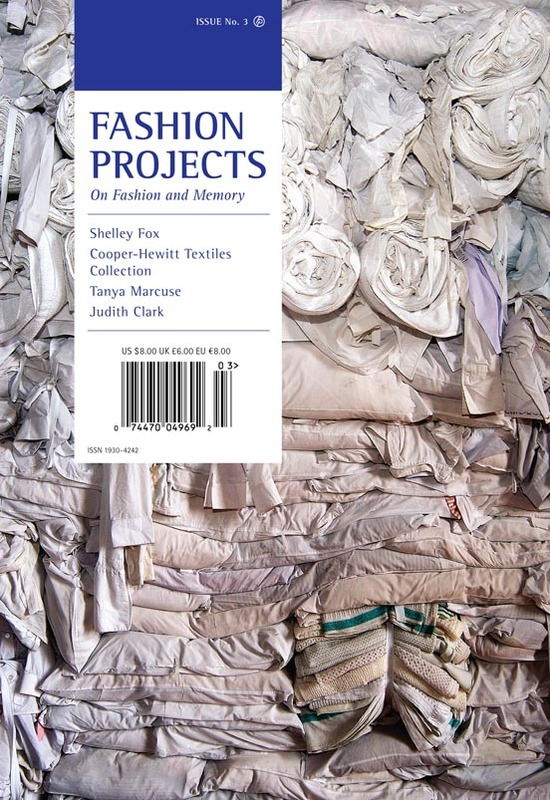 FP: Besides the Belsay project, did you work with used clothes or fabric? SF: I recently did that with my last project, which I have just completed and shown at the ICA. It was titled The Fat Map Collection and it was part of the Nobel Textiles Project. I was paired with Peter Mansfield, a scientist who, together with a German scholar, invented the MRI scanner. They received a Nobel Prize for it. So I interviewed him about his work and then I met with a professor at a medical research council, who was working with the concept of fat scanning which measured fat in the body. He was looking at internal and external fat and the dangers of internal fat. He was examining the fact that body size doesn’t always prove health as often thin people can have internal fat which is the most dangerous. At the same time, I was looking at images from Walker Evans, from the 1930s, from the Depression. The photos got me thinking about the process of clothes-making and the way people used to make their own clothes as opposed to buying them ready-made, and the way clothes would be passed on and adapted to different bodies. It reminded me how I started by making my own clothes. So I was interested in using found clothes from the ’30s and ’40s, as my starting point for the project and went to upstate New York to buy them. The intention was to use myself as a subject, I would be fat-scanned and then I would be put through a 6 month exercise regime and then be rescanned at intervals throughout the project. I would work through the project with found vintage clothes. It was suggested that I use volunteers and I reluctantly did because I was just moving to New York. But it didn’t really work, as it was really hard to make sure that they would stick to the regime and they didn’t so I ended up using the scan images as an idea and I started to work with the vintage garments. I placed them on contemporary mannequins and began taking them apart. I removed sections of panels within the dresses, as they were too small to fit onto the contemporary standard model-size mannequin. The idea was based around the changing body, which would be put through an exercise regime and the changing of clothing that passed through generations. FP: Were they supposed to fit you? SF: Yes, that was my intention to make it based on me, because there is an emotional way you feel when you wear certain garments. I used to wear clothes from the ’30s and ’40s all the time when I was about 20, because I was smaller then, and they would hang on me in a particular way. Now, if I try and wear them it’s much different: the waist lane changes and it has do with the way your body changes when you get older, so I wanted to realign them to my memory of how I remembered wearing them … I hope to re-visit the project again but approaching it differently using my own body scans over a period of time. SF: We first started thinking about sound when we did our first installation at a store called Joseph, which was a sound installation. It was an empty store and we took it over for fashion week. It was for the Autumn/Winter 1998 collection—the Braille collection which used Braille markings on the wool used to construct the clothes. Three season later for Spring/Summer 2000, we produced a collection around the Morse code. We took a quote by Nietzsche and we typed in our Morse code translator which would convert it into dot dash visuals and into the sound it would make, so we used the visuals for the clothing and then we used the sound for the room. SF: Yes, but it wasn’t necessarily obvious to people watching them. They had bought the house in the early 1980s and it had dry rot, which meant that it would get eaten from the inside and eventually collapse. So they had to go in and save it, which they did. At that point, they started to look at the architecture of the building and began to wonder why certain things like staircases had been moved etc. The only people who would know these intimate details about the house were the servants who had worked there. So they interviewed them all and they had to do it quickly because they were quite elderly. Some of them lived in the local area—they had been young girls who went into service into these big old houses. Ultimately for the purpose of the project, Scanner worked with the interviews and developed a sound piece which incorporated snippets of their voices telling their personal stories.